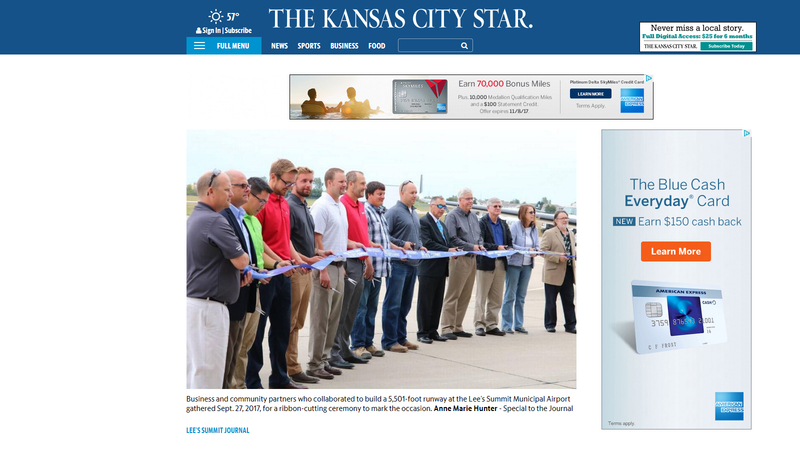 In September of 2017, hundreds of residents, business people and leaders attended the ribbon cutting for the opening of an expanded runway at Lee’s Summit Municipal Airport. The large turnout reflected the community’s awareness and appreciation that the airport improvements will serve as a catalyst for much-needed economic growth. 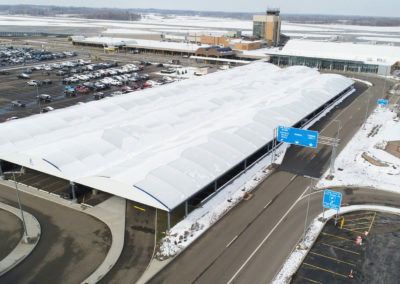 It also served as a satisfying reminder of the many years of hard work that went into winning over the community to make the needed investments in their local airport. 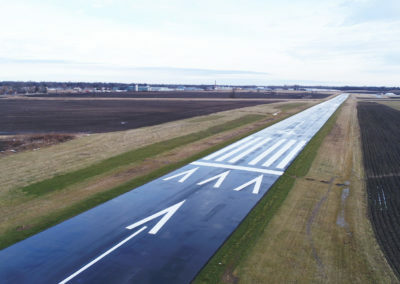 When hired by the City in 2003, CMT began working with airport leaders, the community and the FAA to move forward an ambitious vision for expansion of this important Kansas City Reliever airport. 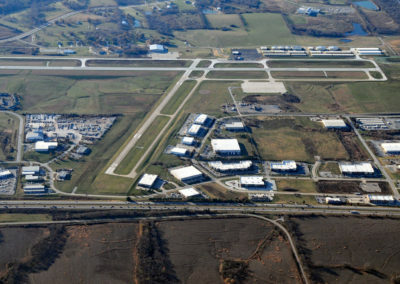 CMT’s consulting team helped formulate a multi-year program that would not only help the airport in becoming financially self-sufficient, but would also fill a void for business aircraft in the Kansas City Metropolitan area, leading to economic opportunities for Lee’s Summit. 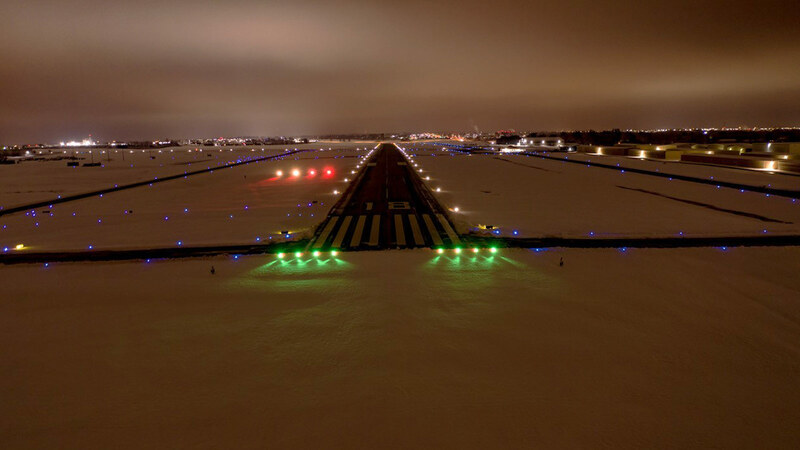 The comprehensive multi-year program has involved land acquisition of nearly 260 acres in fee and 60 acres of easements, several runway and taxiway improvements, establishment of a precision instrument approach, terminal relocation, road relocations and parking lots. 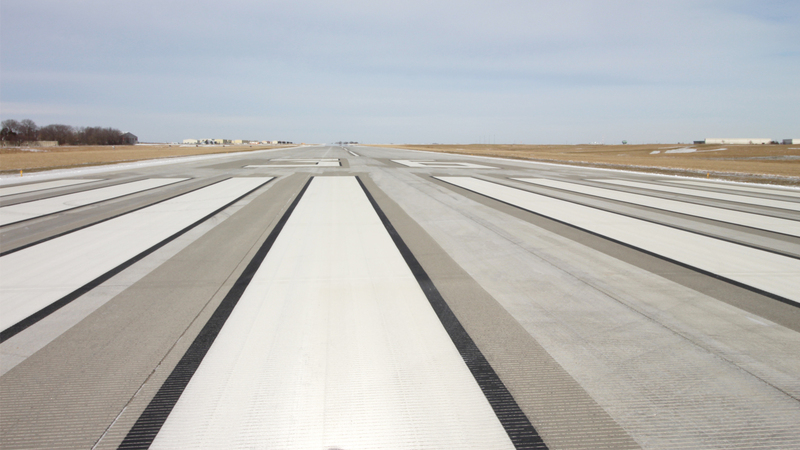 A highlight of the $30 million program has been the expansion of the primary runway. Upgraded from a 4,015′ x 75′ Class B-II runway to a 5,500′ x 100′ Class C-II runway, the airport is now able to serve larger corporate aircraft. This project included approximately 1.3 cubic yards of embankment, enclosure of an existing stream, stabilization of two additional stream sections, relocation of a 16″ water main, relocation of a sanitary sewer line, and extensive storm sewer and inlet improvements. 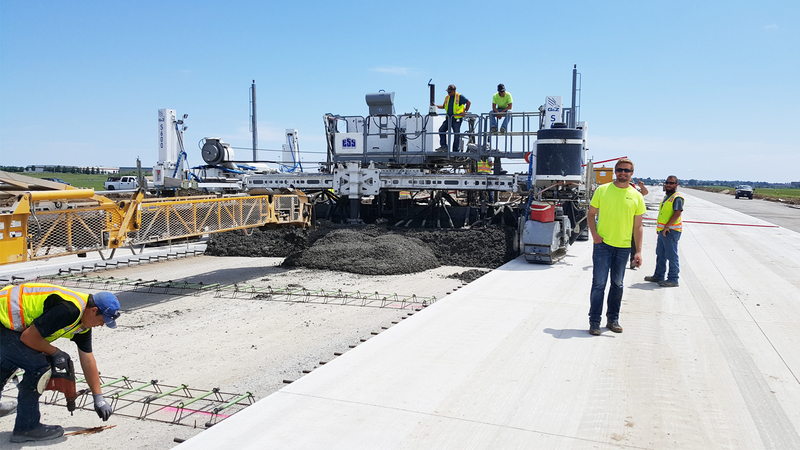 CMT is proud that we’ve had the opportunity to serve as the airport’s engineering consultant, and also as a partner to the City of Lee’s Summit in a wide-ranging effort to provide economic opportunities and improve quality of life within the community.